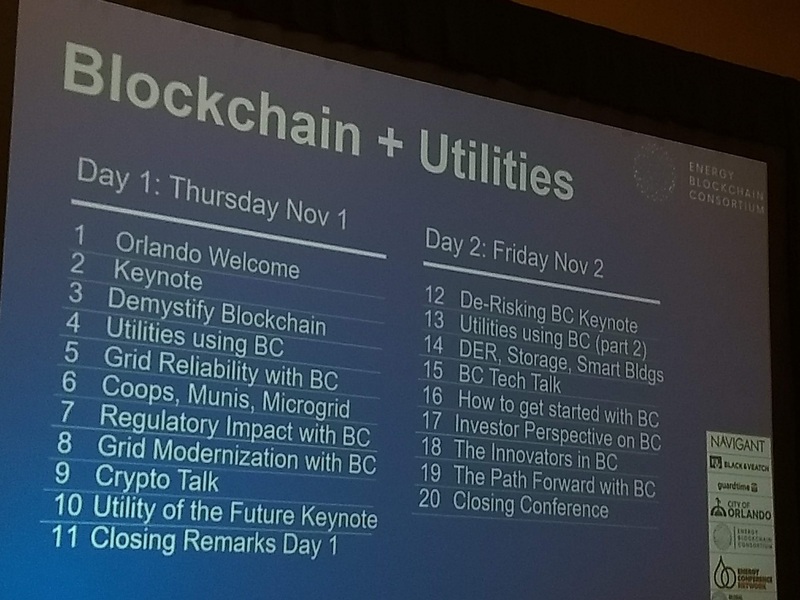 November 1-2, 2018: Thanks for the invitation from Tony Giroti, Founder & Chairman of Energy Blockchain Consortium, and the support from Provost Zhu, I attended the Global Power and Energy Blockchain Conference. I gained first-hand experiences on how the blockchain technology can be used in this sector. October 6-11, 2018: I traveled to Miyazaki, Japan to attend the IEEE SMC Annual Conference. 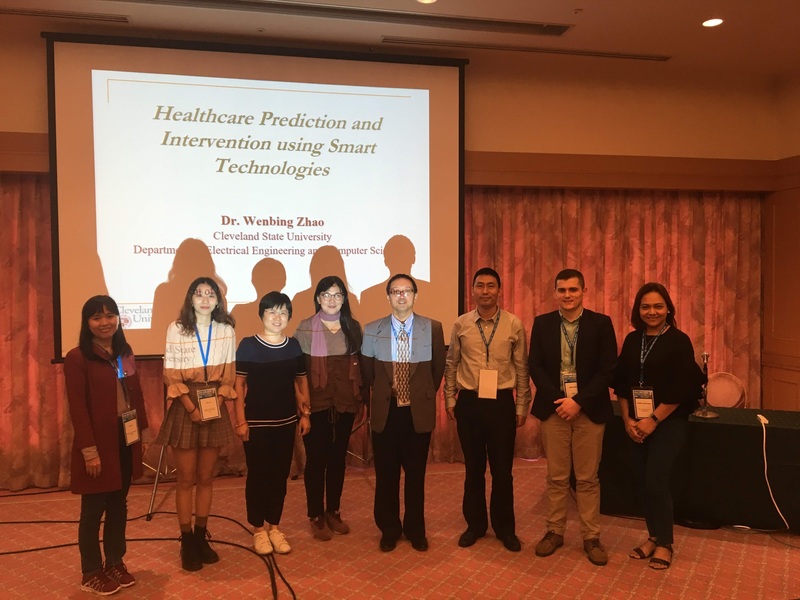 I presented a tutorial on healthcare prediction and intervention, and two research papers. August 10, 2018: Congratulations on Deepa and Elham for successfully defending their Masters' thesis and completing their study at CSU! June 22, 2018: My tutorial proposal and two papers submitted to IEEE SMC 2018 have all been accepted! This will be the second year in the row for me to give a tutorial at this flagship conference under the IEEE SMC Society. 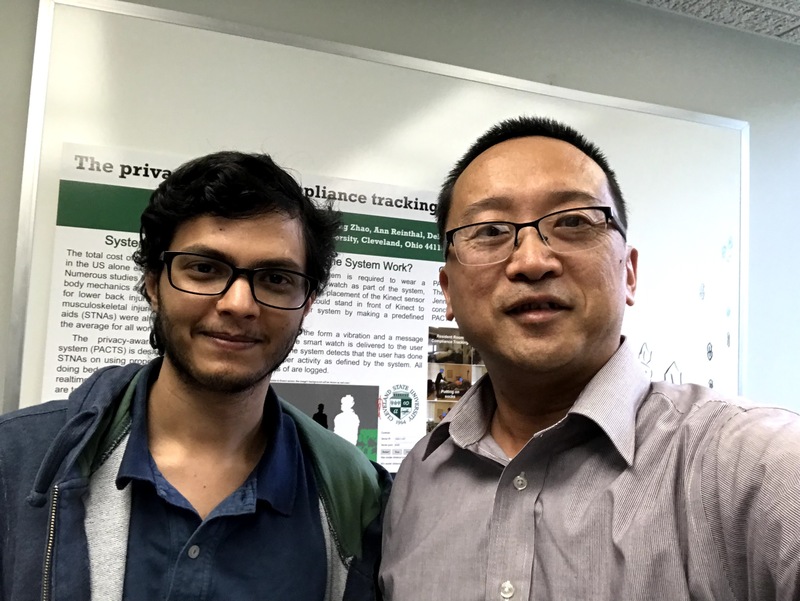 June 21, 2018: Congratulations on Akshat Hans for successfully defending his Master's thesis and completing his study at CSU! May 12, 2018: Congratulations on Roanna, Jonathan, and Sachin for successfully defending their thesis/dissertation and completing their study at CSU! 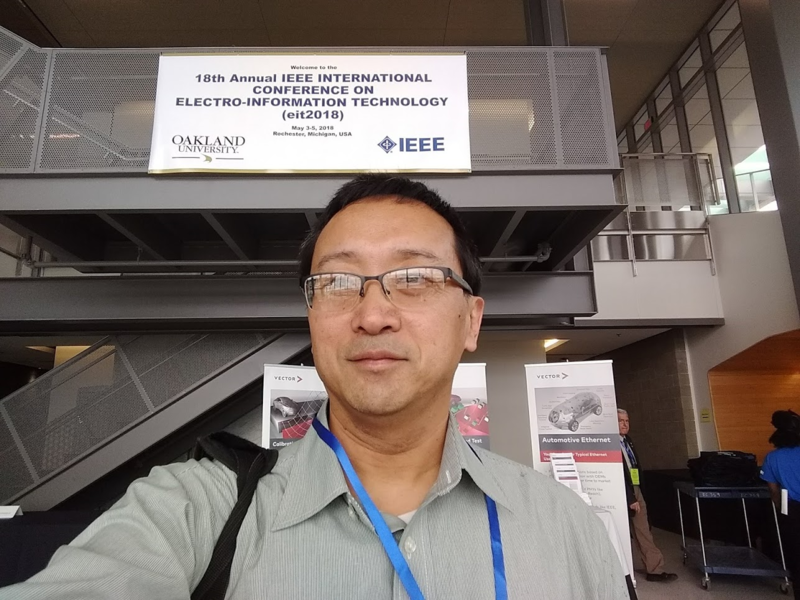 May 3-4, 2018: Drove to IEEE EIT 2018 to present four papers. April 20, 2018: Went to Zhangjiagang, China, to make a pitch for the technology I developed, hoping to attract investment. 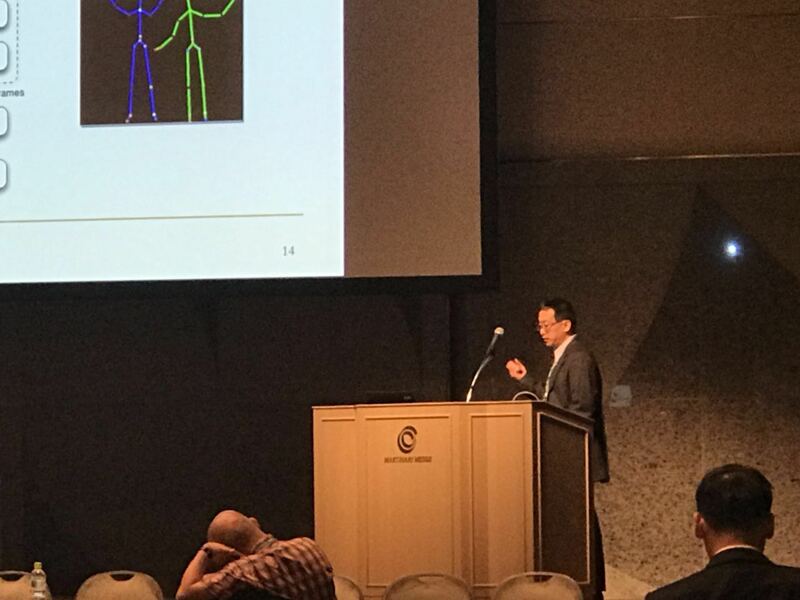 April 14, 2018: I gave a keynote talk on reducing lower back injuries at IEEE ICASI 2018, Chiba, Japan. This is my first trip to Japan. Very much impressed by the country! 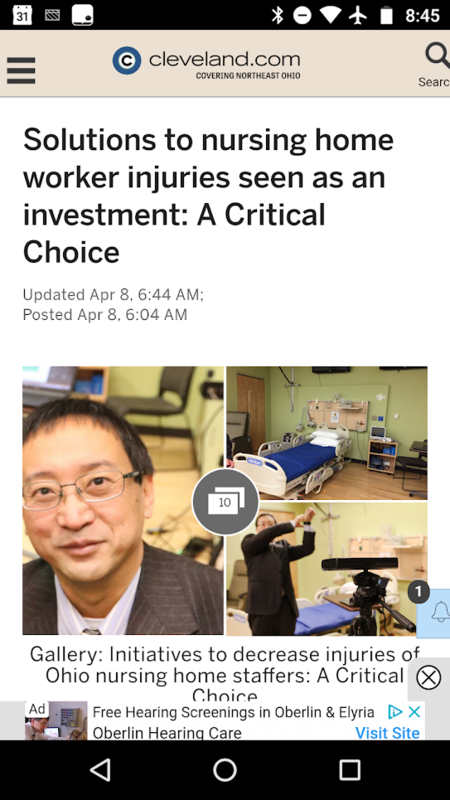 April 8, 2018: The biggest newspaper in Cleveland, Ohio, the Plain Dealer, reported my work on helping state tested nursing aids (STNAs) to reduce lower back injuries using technology. January 18, 2018: I gave a talk at the ASSE chapter meeting on PACTS. December 18-24, 2017: I visited 北京化工大 学 (Beijing University of Chemical Technology). 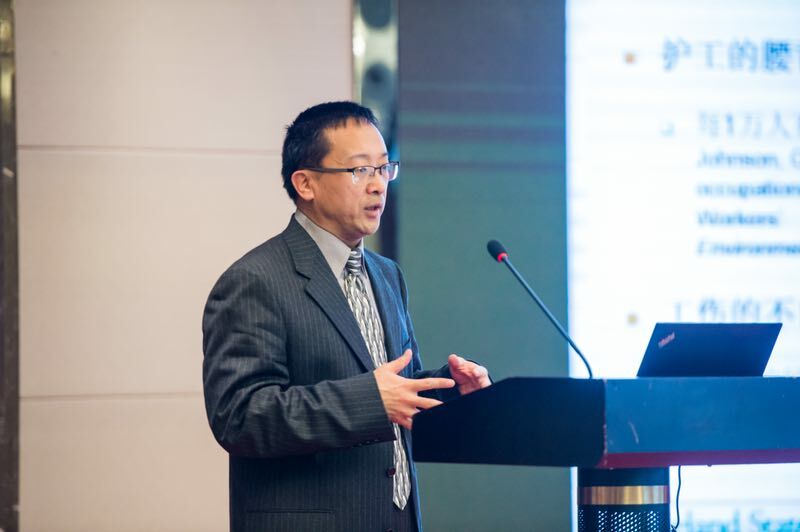 The host is Professor and Department Chair, Juan Chen. I had a wonderful trip there. The weather was also fantastic. December 6, 2017: I was appointed to the Editorial Board of MDPI Computers. November 23, 2017: I was invited to give a keynote speech at the 2018 International Conference on Computing and Big Data, College of Charleston, South Carolina, USA, September 8-10, 2018. November 21, 2017: Two more FRD-IoT projects where I am a co-PI were funded, one with a team in CLASS, and the other with Dr. Xiongyi Liu in College of Education. Out of the seven FRD-IoT grants awarded, I'm involved with three. November 12, 2017: I have been invited to give a keynote speech at the 4th International Conference on Applied System Innovation 2018 (ICASI 2018), April 13-17, 2018, Chiba (千葉) , Tokyo, Japan. October, 2017: I am serving as the lead Guest Editor for a special issue on Healthcare System Innovation with MDPI Applied System Innovation. The special issue is due March 31, 2018. October, 2017: The 2017 ISCSIC that I chaired was a great success. All speakers were very serious. The sessions were quite intense. The attitude and the attendance rate exceeded some of the flagship conferences I attended. Furthermore, Budapest is such a beautiful city! I received a 2017 CSU FRD-IOT grant to carry out pilot study on using technology to study human behaviors and emotions. I received the CSU Golden Apple Award in 2017. Thank you Ravi Duttaluru for nominating me! I won the 2017 CSU Distinguished Faculty Award in Teaching. I gave a tutorial on Human Activity and Emotion Tracking with Microsoft Kinect and Wearable Devices for the 2017 IEEE Cyber Science and Technology Congress (CyberSciTech 2017). I also organized a special session on Cyber-Enabled Smart Environment and Healthcare for the conference. I helped secure sponsorship for the conference from MDPI. I will also be leading the effort in creating a special issue for the conference with MDPI Applied Sciences. I organized a special session with a group of friends for IEEE SMC 2017, held in Banff, Canada, October 5-8, 2017. I have four papers accepted by IEEE SMC 2017! Furthermore, I gave an invited tutorial on Building Human-Centered Systems with Depth Cameras and Wearable Sensors on October 5, 2017. I am serving as the lead editor for a special section for IEEE Access on Human-Centered Smart Systems and Technologies. The due date is December 31, 2017. IEEE Access has an impact factor 3.224 in 2017. 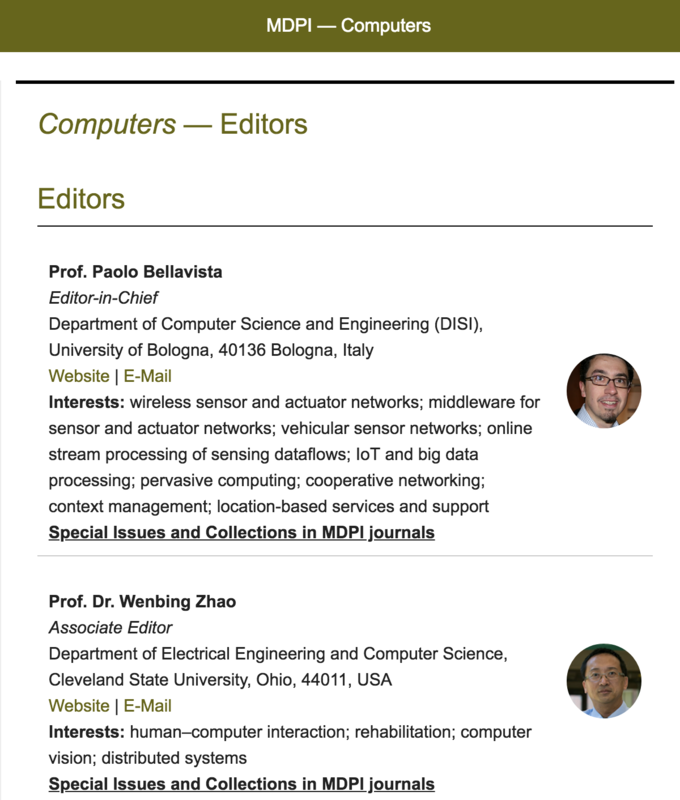 I am serving as the lead Guest Editor for a Special Collection on Intelligent Sensing and Decision Making in Smart Technologies for International Journal of Distributed Sensor Networks. The special issue is due February 1, 2018. The journal is indexed by JCR with an impact factor of 1.239. I received an i-Corps@Ohio grant for training and conducting a marketability study this summer (2017) for the compliance tracking technology called PACTS that I developed. We just completed the training on July 12, 2017. I served as the general chair for the 2017 International Conference on Vision, Image and Signal Processing, held in Osaka, Japan, 22-24 September, 2017, and the 2017 International Symposium on Computer Science and Intelligence Controls, held at the beautiful city of Budapest, Hungary, 20-22 October, 2017. 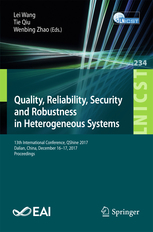 The proceedings of both conferences will be published by IEEE CPS. We have arranged at least one journal special issue with each conference (ICVISP for MDPI Journal of Imaging, and ISCSIC for MDPI Computers). I served as a conference chair for the 2017 International Conference on Digital Technology in Education (ICDTE 2017), and I will also be delivering a keynote speak. 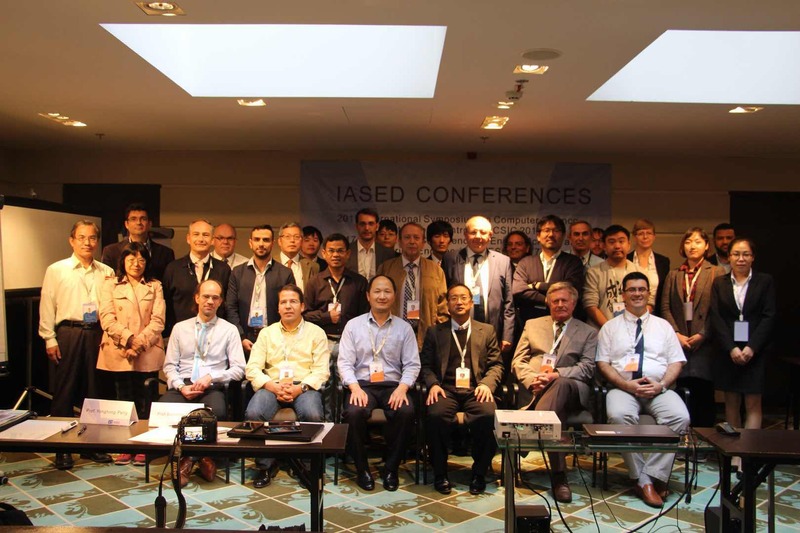 The conference will be help in Taipei, Taiwan, August 6-8, 2017. I am serving as the lead Guest Editor for a special issue on Programming Foundations for Scientific Big Data Analytics with Hindawi journal Scientific Programming. The due date is submission is 25 August 2017. I have been appointed to the Associate Editor position for IEEE Access as of November 2016. 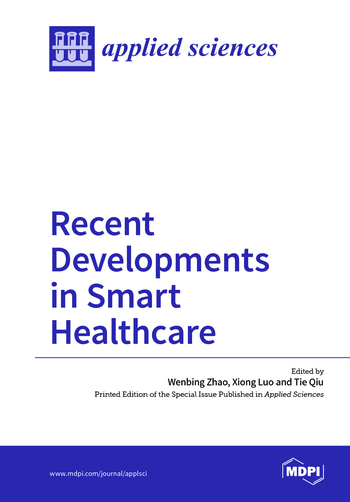 I am serving as the lead guest editor for a special issue on smart healthcare with MDPI's Applied Sciences journal (JCR impact factor = 1.726). I served as a Conference Chair for the 2016 4th International Conference on Behaviours, Education and Psychology (ICBEP 2016), which was held in San Francisco, CA October 23-25, 2016. I also delivered a keynote speech on my experiences with enriching engineering curriculum with courses on cutting-edge technologies. My CSU Faculty Research Development proposal in collaboration with Dr. Ann Reinthal was funded (2016-2017). I received two CSU undergraduate summer research awards for 2016. I served as a member of the organizing committee for a special session on Cybermatics for Cyber-Enabled Worlds (CFP) with the 2016 IEEE International Conference on Systems, Man, and Cybernetics, Budapest, Hungary, October 9-12, 2016. I also co-chaired for the session. I am serving as a Publicity Chair for the upcoming Future Technologies Conference 2016, to be held in San Francisco, CA, December 6-7, 2016. 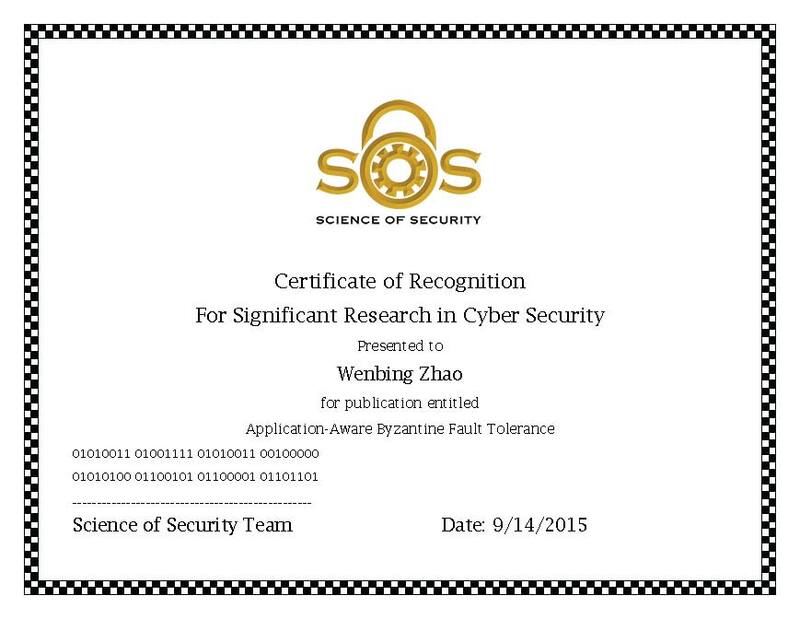 Two my papers published in 2014, titled “Application-Aware Byzantine Fault Tolerance” and “Towards Trustworthy Complex Event Processing,” have been deemed significant research in the area of intrusion tolerance, and included in the index as part of the newsletters disseminated by Science of Security Virtual Organization. Only 10-15% of all published papers are deemed as significant research and indexed the organization. One of my entries (Smart Software Infrastructure for Smart World) won the Top10Cs Smart World Competition on August 11, 2015, as part of Smart World Congress in Beijing, 2015. I presented two tutorials at the 2015 World Congress in Computer Science, Computer Engineering and Applied Computing, on July 27-28, 2015. One on building dependable distributed systems, the other on human motion tracking and recognition with Microsoft Kinect, which is listed on the Worldcomp front page as one of two featured tutorials. Our journal article on a novel mobile security and privacy framework has been recently accepted by IEEE Transactions on Dependable and Secure Computing! I am now officially an ABET program evaluator in the area of Computer Engineering as of June 2015. Congratulations to Brian Krupp for successfully defending his Doctor of Engineering dissertation and accepting an offer to join Baldwin-Wallace University as a tenure-track assistant professor! OBWC Grant: "Safe Patient Handling among STNA’s in Nursing Homes: Compliance, Monitoring, and Continuous Quality Improvement of Best Practices” $246,462, as co-PI, with Drs. Goodman, Espy, Reinthal, Ekelman, Niederriter. 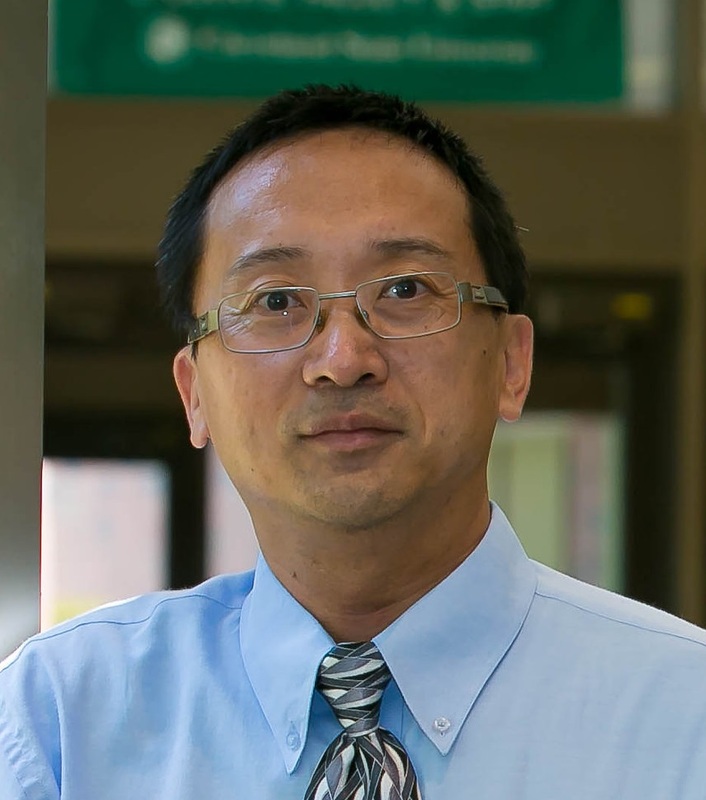 NSF Grant: “MRI: Acquisition of Equipment to Establish a Secure and Dependable Computing Infrastructure for Research and Education at Cleveland State University” $182,000, as PI, with Drs Sridhar, Yu and Fu, 9/2008 – 8/2012. 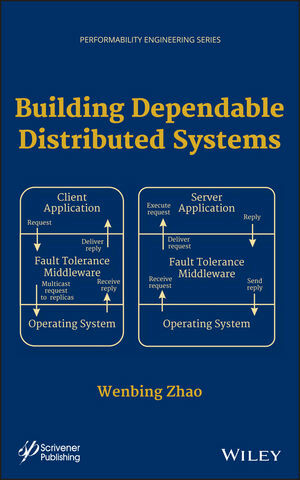 Most Promising Research Award: “BFT-WS: A Byzantine Fault Tolerance Framework for Web Services”, the 2007 Middleware for Web Services Workshop. Fenn College Distinguished Faculty Teaching Award, Cleveland State University, May 2007. Copyright (c) 2015 wenbing zhao. All rights reserved. Design by Free CSS Templates.